The Fiaschetteria Toscana restaurant has been around for 60 years on a small street between San Marco and Fondamenta Nove. It was a proud member of the association I Ristoranti del Buon Ricordo, living up to the standards of the organization. Good food, prepared in the traditional manner, in house sommelier, and the wonderful memoir of a small plate (the “ricordo part) with handprinted picture of the restaurant and it’s organization number and sometimes other small drinking glasses, all memories of a great meal served in elegance. 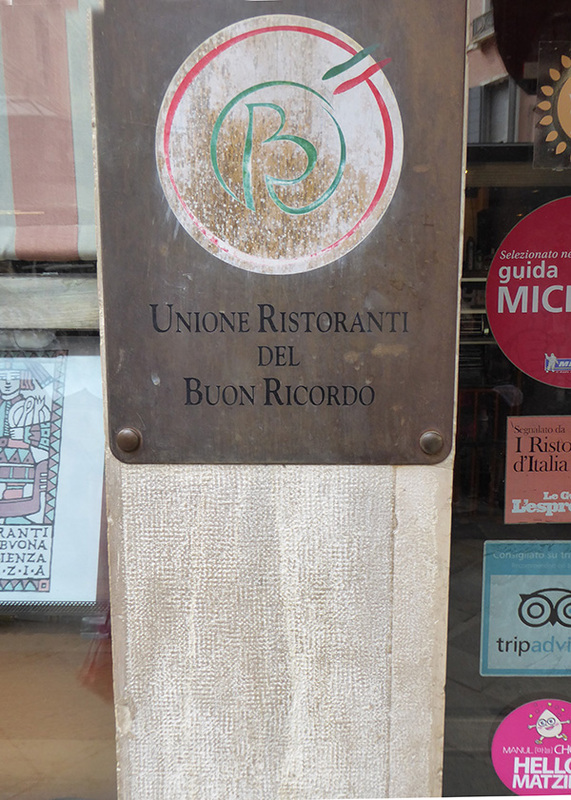 It also found its place in the Michelin Guide Red Book of Italian Restaurants. Generations have grown up going to this restaurant. Their careful preparation began with the selection of fresh fish every morning at the fish market, vegetables from the estuary and their passion which turned these ingredients into food fit for a Doge. True to form they held a parting dinner for some of their favorite customers to enjoy for one last time. And now reportedly it will become a Burger King. 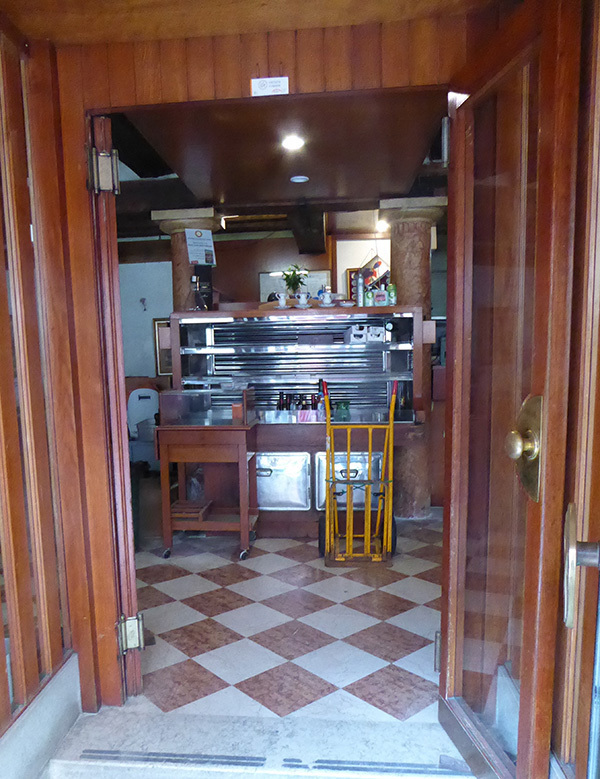 This information I got from a family member as it has not been announced, but I have seen the architects in the restaurant measuring….even the lovely old coffee machine still sits there….cold. Instead of a lovely piece of pottery to remember eating in Venice, I suppose you will get a paper crown from the king of burgers! And they call this progress? What a terrible shame. Fast food outlets like this should be banned from Venice. 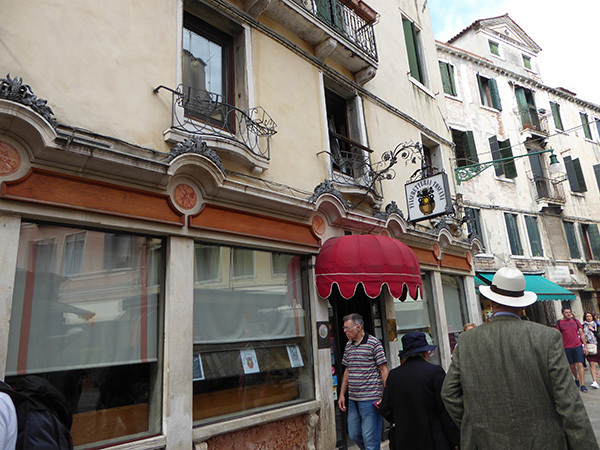 Keep Venice as it should be: a glorious place to enjoy, in which to eat lovingly prepared authentic Venetian cuisine. So sorry to see this is happening. What a shame. We are returning to Venice next March and that is one place we will NOT be visiting. So sad. This should not be happening. It’s absolutely terrible. How heartbreaking! that is so sad…I recently spent over 4 hours in a restaurant in Venice, L’Esperanza. My friend and I savoured every bite slowly, let the bubble of the Prosecco wine explode all over our taste buds…everything around us was magical, the attentive waiter, the scenery, the decor, the people passing by, the conversation with my friend and listening to the conversation of the Venetian men gathered at the table next to ours as I was trying to understand their dialect, … all for 4 hours… one of my best memories of Venice! Venice is one of the most beautiful and unique places we have visited and Burger King will be an absolute eyesore. At least there are rules which prevent them from changing significantly the outsides which must remain in the traditional Venet style. Inside it will be modern. I do not like these changes either but I do understand the challenges they face daily. And after 60 years the family is tired. And worse it will take business/$ away from the local bars and restaurants. Which is why I recommend the little bar just past it on the same side of the street. They make great sandwiches and espresso, serve wine and a hot plate every day.